Features 16 principle models, four main models and four problem-solving models that enable students to investigate and understand the operation of simple and compound machines found in everyday life: gears, wheels and axles, levers and pulleys. A perfect system for teaching the key curriculum areas of simple and compound machines such as gears, wheels and axels, levers and pulleys. Principle activities leads to four main activities and four problem-solving tasks that students find interesting and compelling. Teacher's guide provides everything needed for easy in-depth introduction, such as teacher's notes, teaching sequences, and student worksheets. Includes Images for Class Use, a collection of photographs, pictures, drawings, and illustrations, which can be used to support your teaching. 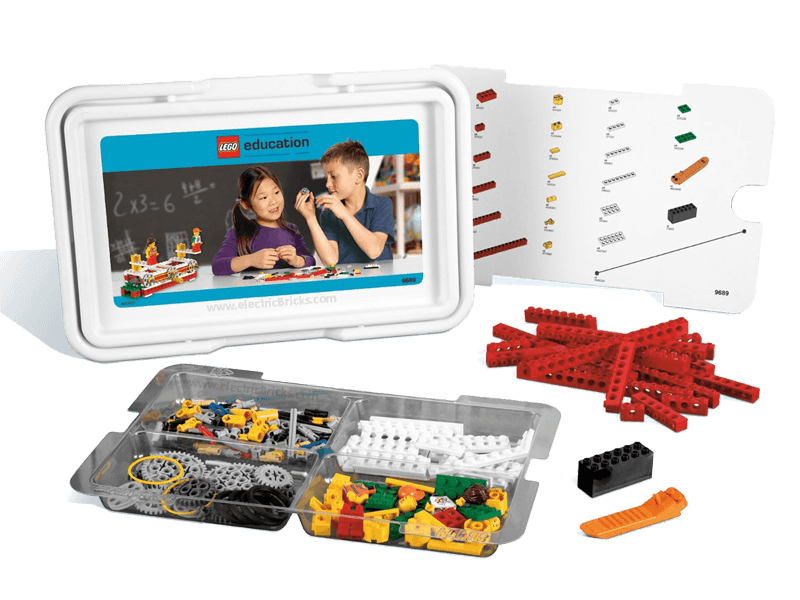 Building instructions feature an element overview for easier model build and easy classroom management. Provides the next step from Early Simple Machines or a stepping stone for working with Simple and Powered Machines. Activity Pack features a flow of 16 principle activities, four main activities and four problem-solving activities. Includes inspiring teaching sequence with teachers notes, student worksheets, images for classroom use, classroom management tips, glossary, and element survey.